More declassified files! Noh must really have done her homework, if a secret international intelligence organization’s entire body of knowledge on her can be summed up by shrugging extravagantly and mumbling something about cryptids. 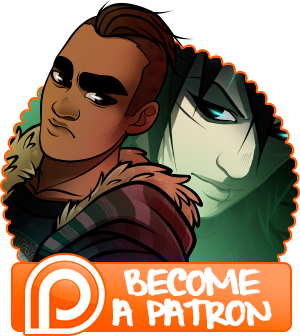 August seems to be recovering well, and he’s eager to get back to work on the comic once he’s got his full range of mobility again. Unfortunately, our little one has come down with a very nasty cold, which is causing all manner of havoc for my schedule seeing as August is absolutely in no condition to look after her and *cannot* afford to catch her sickness (chest sutures don’t react very well to acute coughing). So, this week is going to be interesting, to put it lightly. 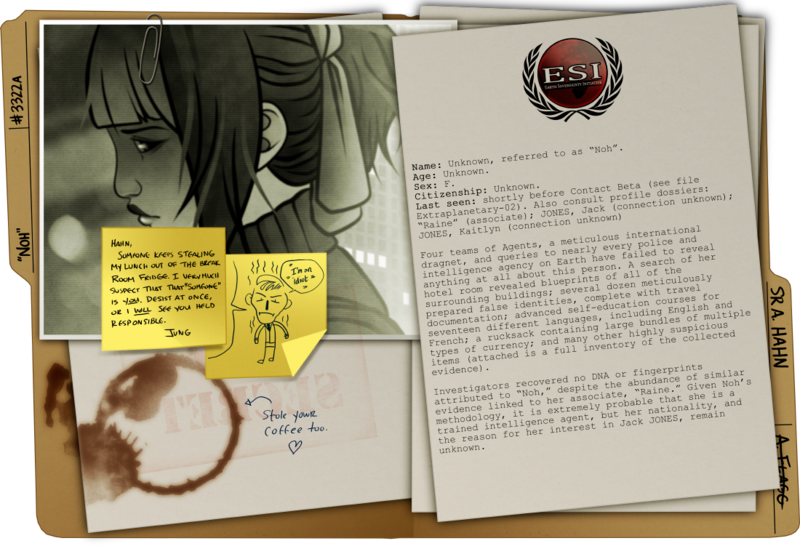 Tune in on Friday for another glimpse into ESI’s dossiers!